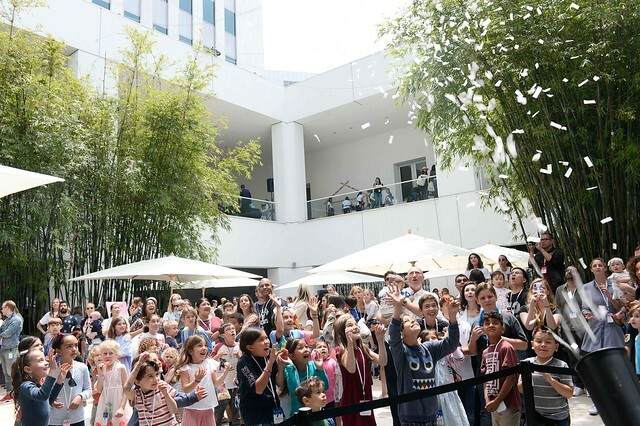 Join the Hammer Museum for a fun-filled day of art-making, music, storytelling, and more! K.A.M.P. is a unique family fundraiser that provides kids of all ages the chance to be creative with Los Angeles-based artists. Each year, local artists host hands-on art workshops throughout the museum. This year you and your family will make art with artists Math Bass, Alex Becerra, Louise Bonnet, Carolina Caycedo, Sam Falls, Haas Brothers, John Houck, Alex Israel, Patrick Jackson, Patrick Martinez, Lara Schnitger, Alake Shilling, Samantha Thomas, and Daniel Winter. Some of our closest celebrity friends will be on hand to read their favorite children's stories. Readers include Elizabeth Chambers, Taye Diggs, Armie Hammer, Ki Hong Lee, Joe Manganiello, John Stamos, and Sofía Vergara. Proceeds from K.A.M.P. provide essential support to Hammer Kids programs, which offer free events to over 60,000 children and families throughout the year. If you would like more information about K.A.M.P., or would like to support this one-of-a-kind event, please contact us at [email protected] or call 310-443-7031.